Attack 1 : Clark's Birthday Party!! Don't bother to flip a coin, you must say yes! 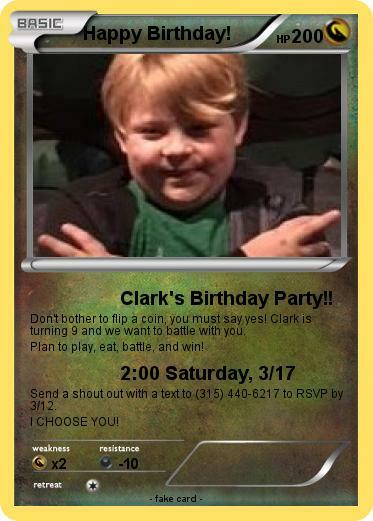 Clark is turning 9 and we want to battle with you. Plan to play, eat, battle, and win! Send a shout out with a text to (315) 440-6217 to RSVP by 3/12. I CHOOSE YOU!